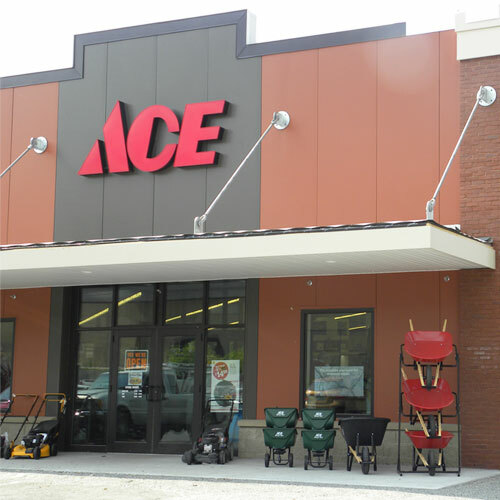 A family owned and operated local business for over 40 years, Oak Hill Ace Hardware offers a wide selection of products and services, and is host to many in-store events each year. The store's signature event, an annual Garden Party held in April, boasts a storewide sale, free flowers and a very popular Dirt Cheap sale. As lifelong residents, owners Dan and Anne Johnson are dedicated to giving back to their community through in-kind donations and volunteer work with local charitable causes. Anne and her daughter Rebecca, who is also the marketing manager for the Johnson's two stores, work with the local Chamber of Commerce, and Anne serves on the board of Camp Ketcha, a beloved local camp. Dan, who started as a sales associate while in high school, recently celebrated his 40th anniversary and continues to pass on his extensive knowledge to Oak Hill manager and son-in-law Tyler, and Dunstan Ace Hardware manager and son, Nate. Please clink on the link below for more details and to submit a request for a donation for your organization or event.